Marco A. Paredes discusses the fine points of advanced pruning. 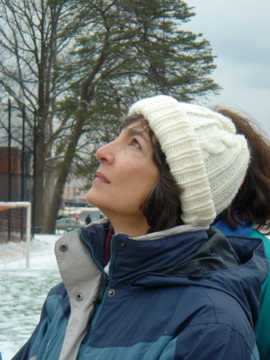 Temperatures in the high 20s and intermittent snowfall did not deter twenty-four dedicated TreeStewards from attending today’s training session. 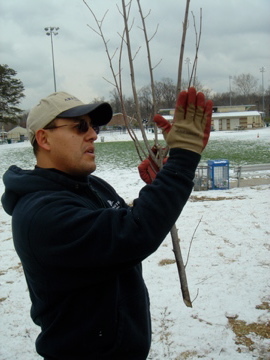 Marco A. Paredes, arborist and landscaping team leader with Arlington County, led the training on advanced pruning techniques. 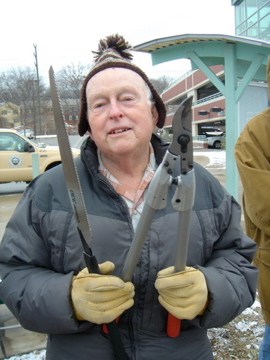 An excellent video covered the basics of advanced pruning. Photos of an individual tree at one-year intervals were especially instructive for understanding how a tree responds to structural and corrective pruning over time. Compared to untrained trees, there is a huge improvement! After the video, Marco answered numerous questions about the intricacies of pruning in myriad situations—trees located along streets, in yards and even near power lines. 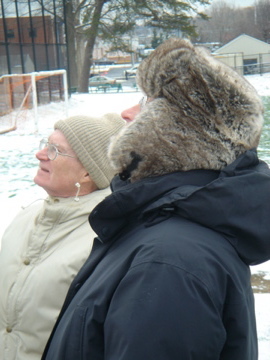 Then it was time to get outside (brrrrrr) and put this knowledge to work! 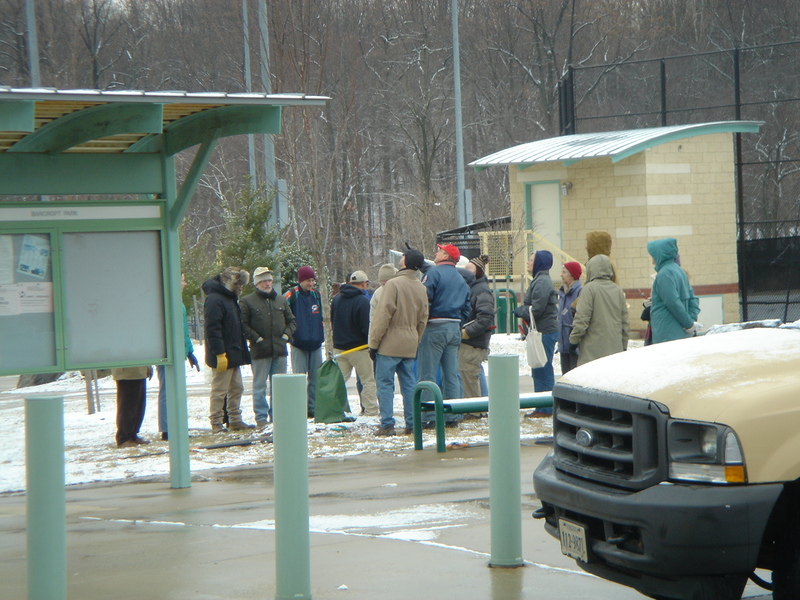 TreeStewards reconvened at nearby Barcroft recreation field for a live demonstration. 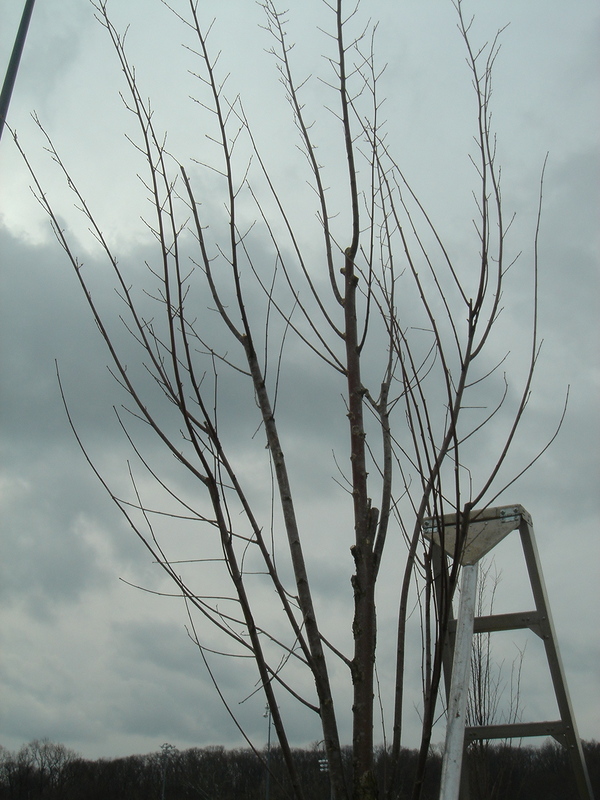 The first subject was a Princeton Elm, featured in the photos below. After observing the tree from all angles, a structural pruning plan was discussed and debated. Next the tree was expertly pruned to remove damaged limbs, create a strong central leader and identify branching structure (scaffolding), leaving some temporary branches to nourish and protect the tree. Prior to pruning, this tree has many crossing branches and unclear structure. Good structural pruning completed, this tree reveals a strong leader, good shape and well-spaced branches. 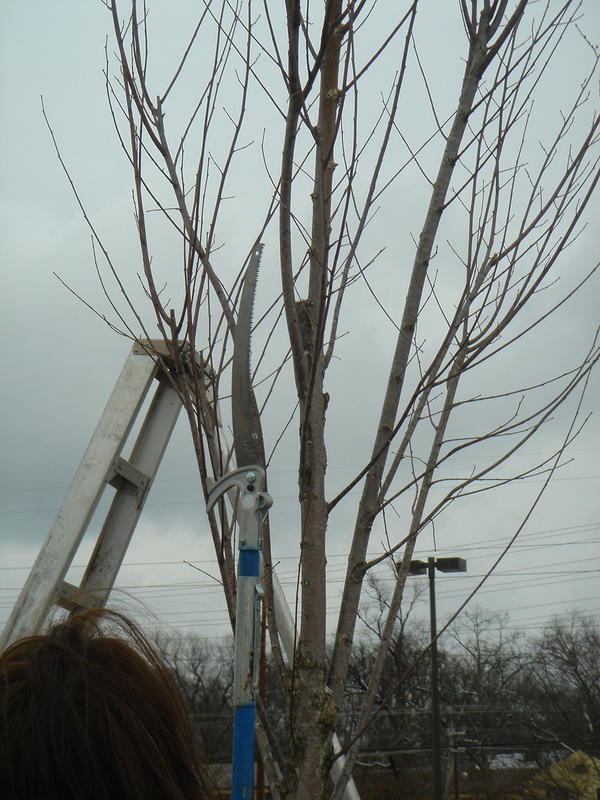 This entry was posted in Education, Tree Care and tagged pruning, training. Bookmark the permalink.